Pros: Clever interactivity helps kids relate to historic figures and events. Cons: Locked progress arrows keep kids from advancing if they get stuck or miss something. 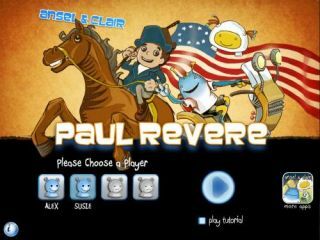 Bottom Line: History lessons package content with style and interactivity to help kids connect with Paul Revere's story.